Fact: According to the Department of Labor, American employers lose over $300 billion dollars of productivity annually due to illness, sick days, absenteeism and sub-par performance. Fact: According to the Wellness Council of America, more than 100 million workdays are lost each year just to lower back pain. which in turn, theoretically will decrease employee illness and therefore, the need to use their insurance, thereby lowering costs and increasing attendance and productivity at work, among other benefits. One of our goals will be to focus to build corporate wellness to reduce chronic illness and prevention. WHY CORPORATE FITNESS IS NEEDED NOW? $1,100 a year for every employee who breaks their addictive smoking habit. $269 a year for every employee who progresses from couch potato to fitness enthusiast. $1,200 a year on employees who reduce their cholesterol levels from just 240 milligrams to 190 milligrams. $177 a year for every employee who goes from obesity (more than 30 pounds overweight) to a healthy weight. 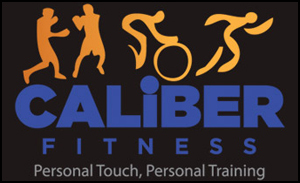 Caliber Fitness corporate wellness program does not make the mistake of just addressing awareness. Our Corporate Wellness program is designed to provide your company with a maximum return on investment through cultivating a corporate wellness culture. We also do all the administrative work of setting up our wellness program to save your company man-hours.